A man has been missing for more than 24 hours in raging floodwaters after his boat crashed into a submerged jetty. 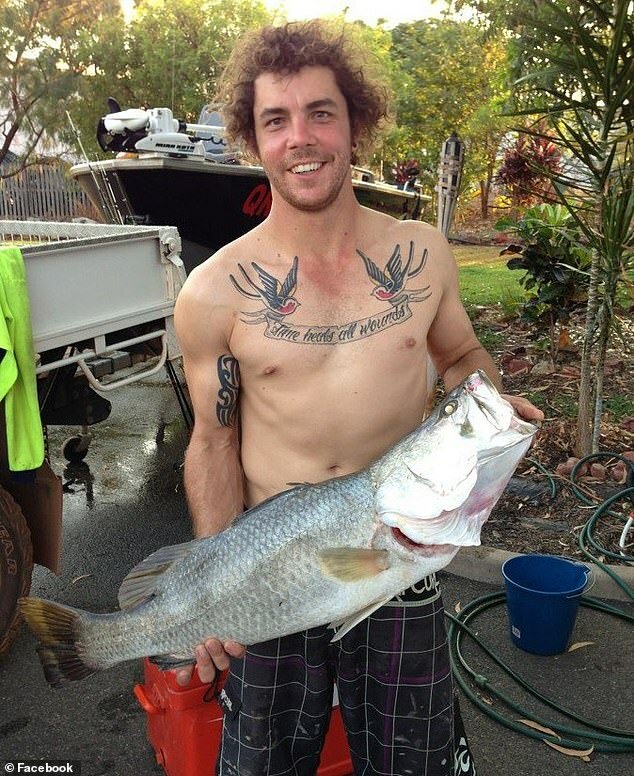 Justin Scott, 35, and two friends were driving a boat on the Burdekin River, south of Townsville when they hit the jetty on Friday afternoon. The boat hit the jetty with such force Mr Scott and one of his friends were knocked unconscious and thrown into the raging water. Mr Scott’s friends were pulled to safety and one is in hospital with a large cut to his face, Nine News reported. 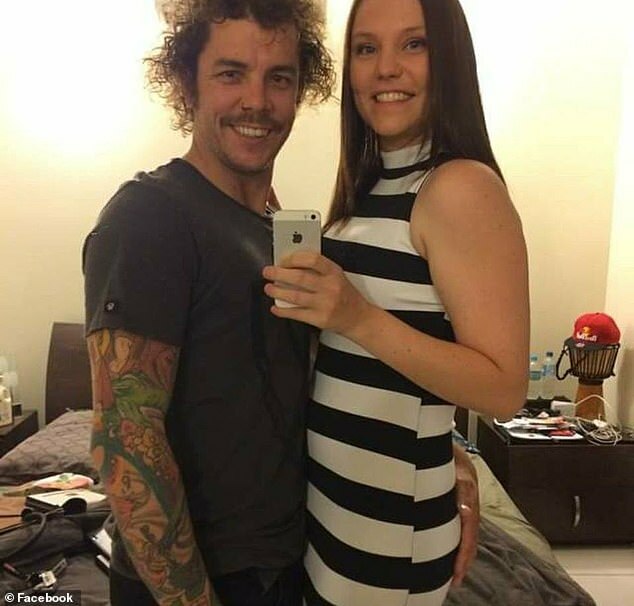 Water police, swift water rescue crews, a helicopter and other local vessels searched for the recently married man into the night. The search resumed on Saturday with more than a dozen boats out looking for him. Police said the murky floodwaters made the search difficult, but authorities weren’t giving up hope he would be found. ‘There’s a lot of obstacles in the water, visibility’s very very poor and there’s a lot of debris against the bankside vegetation,’ Queensland Fire and Emergency Services’ Bernard Tracey said. It’s now been more than 24 hours since the accident and Mr Scott remains missing. ‘Unfortunately, we haven’t been able to locate the missing person,’ Mr Tracey said. 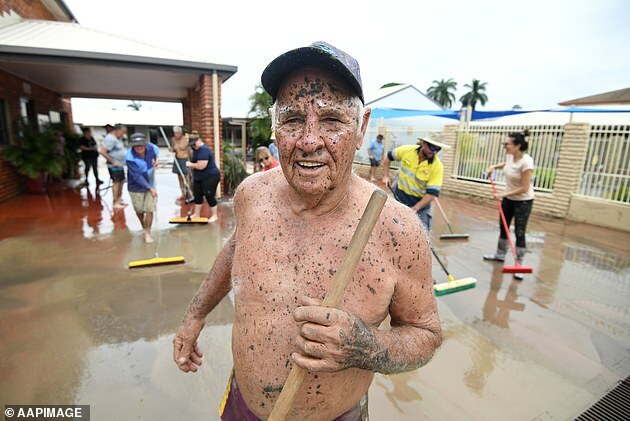 The region was thrown into chaos after more than a year’s worth of rain fell on the North Queensland region in little more than a week. 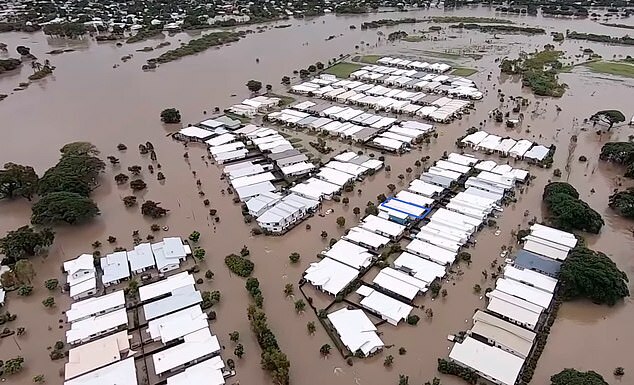 Townsville has been shattered in the past two weeks, with many homes, car parks and shopping centres almost totally submerged. At least 2,000 residents have been affected by the 12-days of near-nonstop rain. But even as some residents begin the lengthy clean-up, others are bracing for more rain. Despite a brief respite from the rain on Tuesday, more downpours are forecast to hit the region in the coming days. 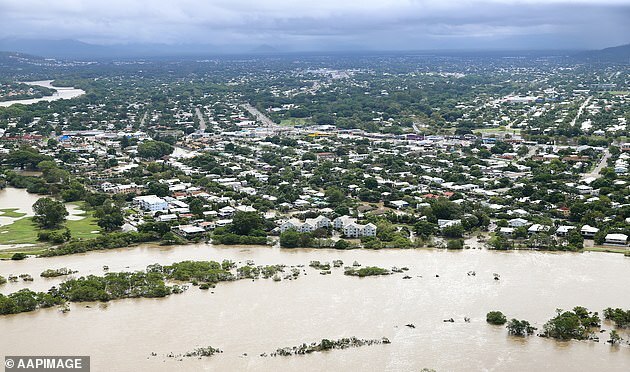 People remain holed up in evacuation centres waiting for the floodwaters to recede, with about 10,000 homes still without power. Hundreds of homes have already been deemed uninhabitable and the number is expected to rise. 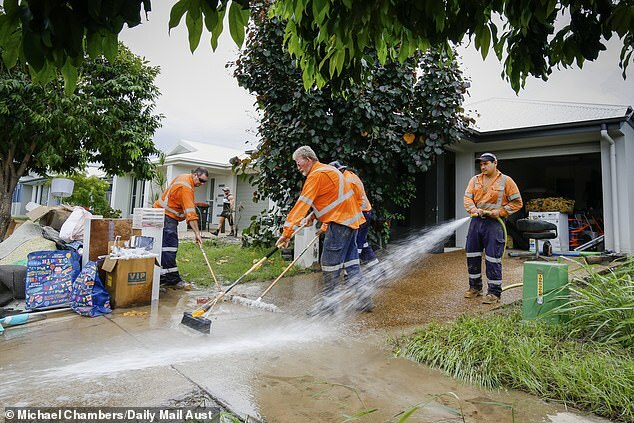 However, some residents were able to return to their homes and have begun hosing down their mud-filled houses. 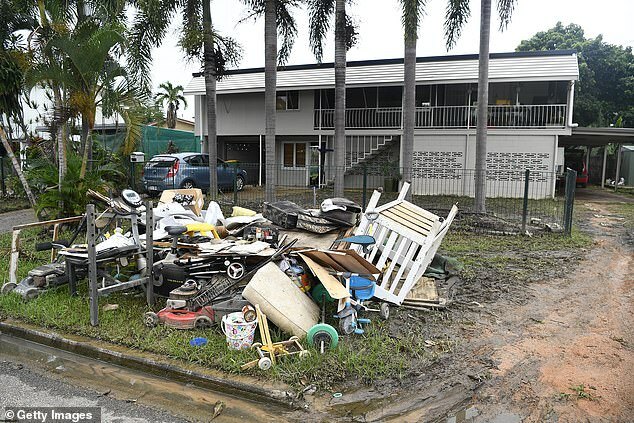 Many homeowners have been forced to throw-out their flood-damaged belongings. 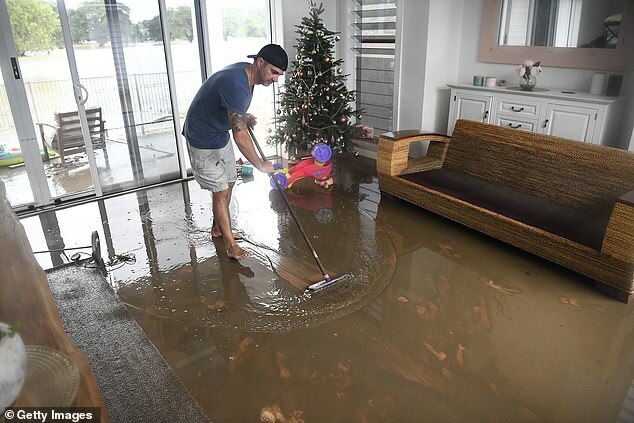 Claims for damaged property and lost belongings have already exceeded $80million, with the bill set to soar as more residents return to their waterlogged homes. 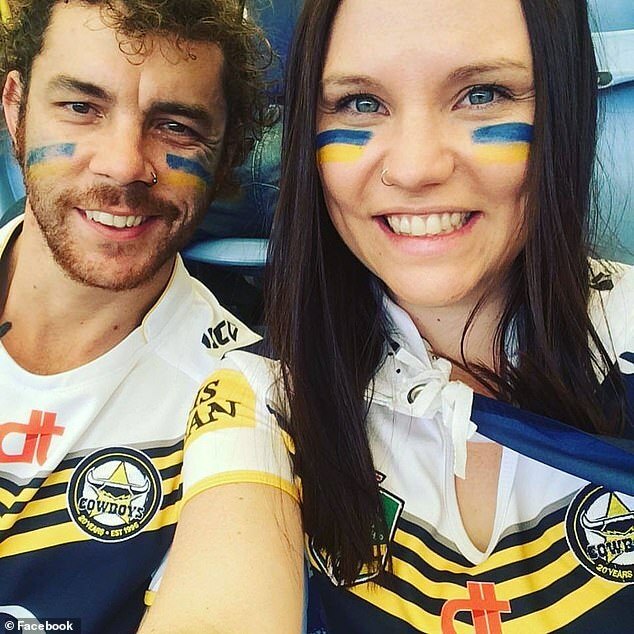 The mood has been stoic but Premier Annastacia Palaszczuk has warned that while they are a resilient people, the enormity of what they’d been through would soon hit. The Insurance Council of Australia (ICA) said they had received more than 6500 claims, with more than half of those lodged in the span of 24 hours. 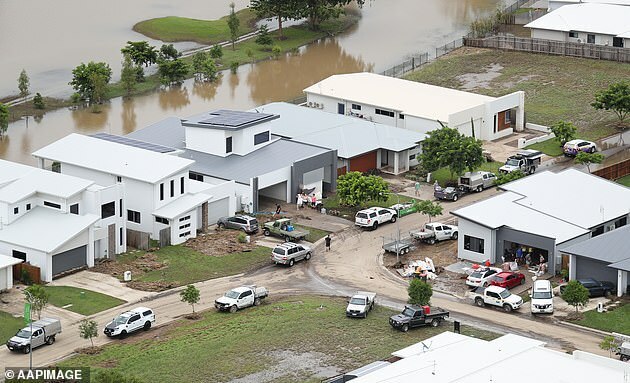 ICA Communications Manager Campbell Fuller told AAP they expected the bill from this event to be in line with Cyclone Oswald, which caused $1.26 billion of damage in Queensland and northern NSW in 2013.